Requires the latest version of Community Upgrade Project (Weapons, Units and Vehicles). 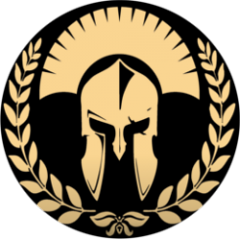 "On behalf of the CFP team we are extremely excited to announce a new community mod designed to bring a rich and diverse set of factions to Arma 3! This ambitious project is off to a flying start with 30(!) new or enhanced factions, over 900 new custom items and support for ZEUS, VCOM, ACE3 and ALiVE. We're building factions using CUP as a base, as CUP includes a huge array of vehicles, weapons and equipment in use by today's aggressors. We specifically built the factions with mission making in mind, with a wide variety of groups (including static weapons) and support for mods such as ALiVE and VCOM. We're very thankful for the community donations of assets so far and we welcome the community in helping us to bring more factions to Arma 3!" CFP is a community project to provide Arma 3 with 100 new or enhanced real world factions/sub-factions involved in current and historical armed conflicts. CFP comes in two flavours - CFP and CFP Ultimate, only CFP requires Community Upgrade Project (CUP) while CFP Ultimate will require a number of community mods. CFP offers not only enhanced vanilla CUP factions but also a huge number of new factions using CUP and community donated assets. CFP includes custom assets and textures in order to help expand whats possible with CUP. CFP Ultimate will enhance base CFP factions (if running CFP) and introduces new factions using the most efficient combination of community gear, weapon and vehicle addons. CFP Ultimate will be announced soon(tm)! Factions are delivered in a modular way, enabling groups to maintain their own tailored version of CFP by simply excluding any components they don't need, or those possibly in conflict with other mods. Includes 75th Rangers mod content, thanks to Hawaiian and co! Randomization tech that provides variation of gear and equipment to appropriate units and vehicles resulting in hundreds of possible civilian, insurgent, PMC, clandestine operative and special forces units and vehicles. CFP Ultimate will enhance the CFP factions and introduces 32 new factions/sub-factions based on common community addons taking the total new or enhanced factions to over 100! CFP factions cover major current conflict zones such as Afghanistan, Iraq, Syria, Libya, Sudan, Philippines, Ukraine, South America and African states dealing with Boko Haram, Al-Shabaab and islamic insurgencies such as Nigeria, Kenya, Central African Republic, Somalia, Yemen and Mali. In addition, western regular forces and special forces are represented along with historical and current aggressors. Check the box Override ALiVE ORBAT Loadout and/or Disable CFP Randomization as needed. Please come join us over at out GitHub page! You can download Community Factions Project mod from Github here or on Steam. CFP is currently licensed under the Creative Commons No-Derivatives 4.0 License [CC-ND]. Q. Why use CUP and not RHS? A. CUP offers a huge array of vehicles, weapons and equipment that really covers many modern day forces. The progress CUP is making around quality and quantity has been significant and they continue to improve as they move closer to complete coverage of Arma 2 assets. CFP provides new and hopefully improved textures (and where necessary models) for each new faction. RHS, although a great quality mod, does not give us the quantity of assets needed. CUP is also more open for development purposes and we feel CFP is a great compliment to such a comprehensive piece of work. Finally, we had to take into consideration compatibility with Arma 3 and other mods, particularly around vehicle damage models etc. We hope the community enjoys our mod. And we have some very exciting things in store for future releases. This is only the very beginning. If you'd like to jump into a quick mission with the mod, feel free to try these new MP missions posted today on workshop. I'll update this post in the future with more CFP-oriented campaigns and one off missions I'll be building. Congrats guys! It’s super studly beard time! this is awesome! looking forward to the rest of the factions to be finished! Great! Congratulations on this release, guys! Nice project and a great addition to the Armaverse. GREAT! You (all) just made my day! Do these missions include the VCOM AI? Thanks for the work on this project and for providing some Alive missions. I love playing yours and Hero's missions. These do not but I have 2 in development that do. Awesome I look forward to their release. Wow, interesting project you got there! @autigergrad wow I butchered my Workshop link for the showcase. Lol I linked you to where I edit my mission description. THX for that awesome piece of work! Having built and, much to my chagrin, also updated a few ORBAT factions for myself (never had the courage to publish them though...) I know what enormous amount of hours must've gone into a faction project of that scope! CONGRATS TO THE RELEASE, Tupolov & AUTigerGrad!!! Congrats to all the developers..awesome job dudes.